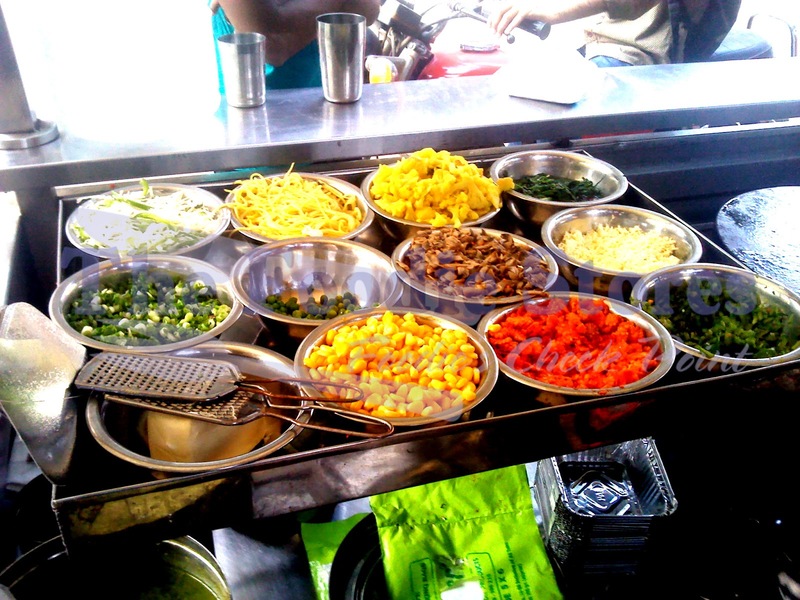 Street food is the best thing in Bangalore and to experience that,you should just leave things like hygiene and bad attitude. Of course i am not telling that street food are unhygienic but there are few people in this world who give excuse of hygiene when we offer them street food. 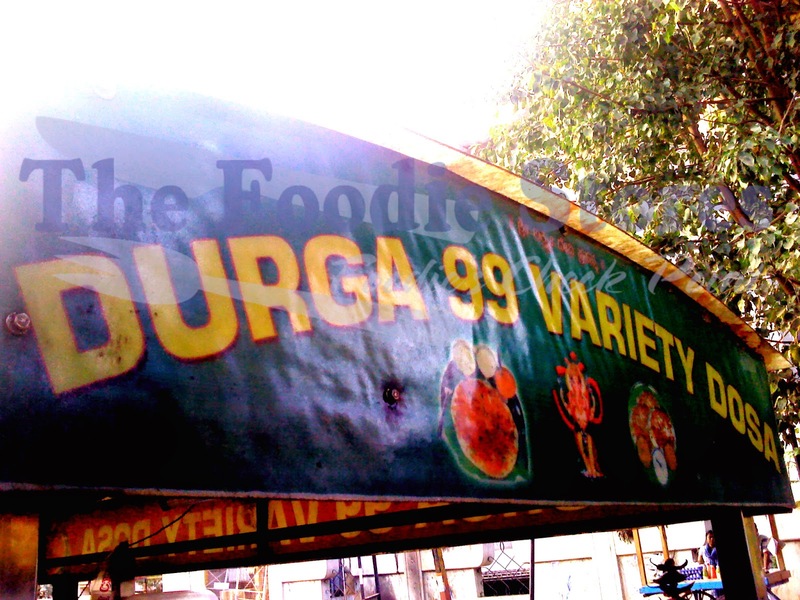 I do accept that few places are close for comfort but i would really appreciate if you try "Sri Durga 99 Varieties Dosa". 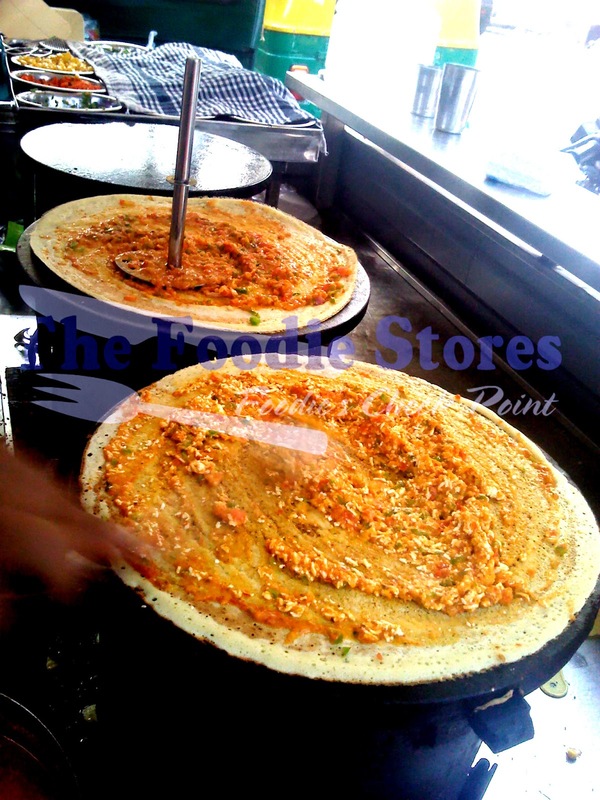 Sri Durga 99 Varieties Dosa is a new concept and in just few months "Sri Durga 99 Varieties Dosa" made headlines for its amazing dosas. As a foodie i should be fair in judging few thing and i did find few thing which were not really relating to what they preach but i did like the food they offer. 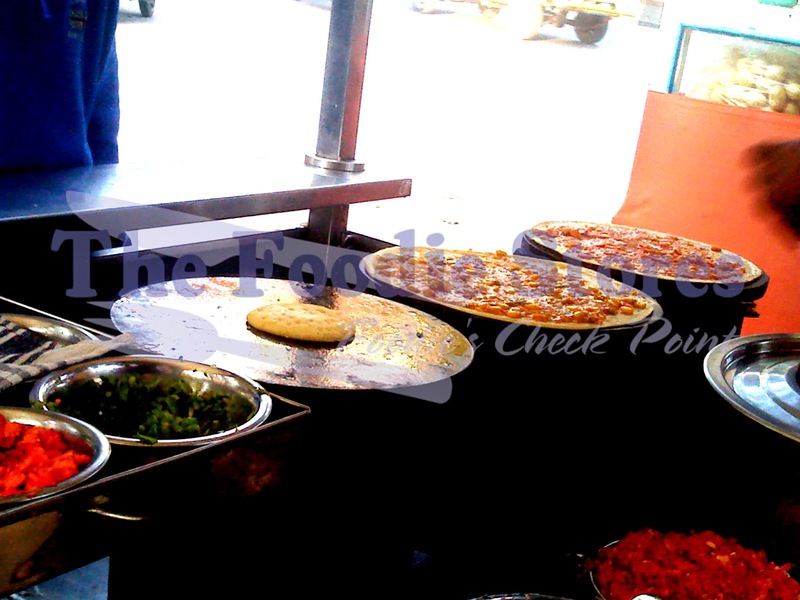 Street food are street food, so don't really bother about hygiene things, i am sure you will not fall sick. Don't bother to ask and remember 99 varieties coz basically you cant remember and its just unusual mix of flavors that covers 99 in number. Sri Durga 99 Varieties Dosa, as the name suggests its serves only dosas and claimed to have 99 variety however i still have to yet discover all the types of dosas but as foodie i have tasted 20 different types of dosas which are on the main menu list. The dosas like paneer, american sweet corn and mashroom dosas were creative enough to taste and frankly i liked it. The other flavors where good enough but the only thing which i found is that the dosas were not really tasting like dosas. 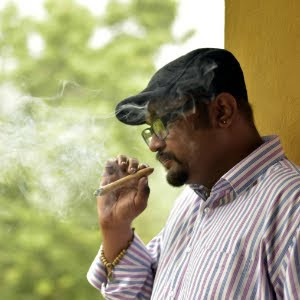 I mean which ever flavor i took, it was tasting like a typical dish but i wouldn't call it dosas because dosas taste was covered by these flavors and the crispiness was taking all the credits. Leaving the dosa argument asside i think everyone shuld really taste this and i will surely recomend these place and they didnt pay me to tell that. There are some people who have copied the same idea and have created different stores saying 99 Varieties Dosa, dont trust them. go to the original stuffs. Located in almost all the best streets and areas in bangalore like 1st block rajajinagar, 100 ft road indranagar, koramangala and so on.